Trainings — Women's Worth, Inc. Learn more about our business training programs and how they differ from traditional training programs. Women’s Worth Inc. has created business training programs for women in both rural and urban areas. These programs focus not only on hard skills such as accounting and numeracy but also on soft skills such as decision making, negotiation, conflict management, and self-advocacy. The training materials include culturally appropriate images, audio and video suitable to audiences with a low-literacy level. The trainings are designed to be highly participatory using role plays and student experiences to enhance the learning. Moreover, the trainings include distributed practice, (the repetition of material at different intervals) to improve recall. The workshops also include frequent low-stakes testing of students. 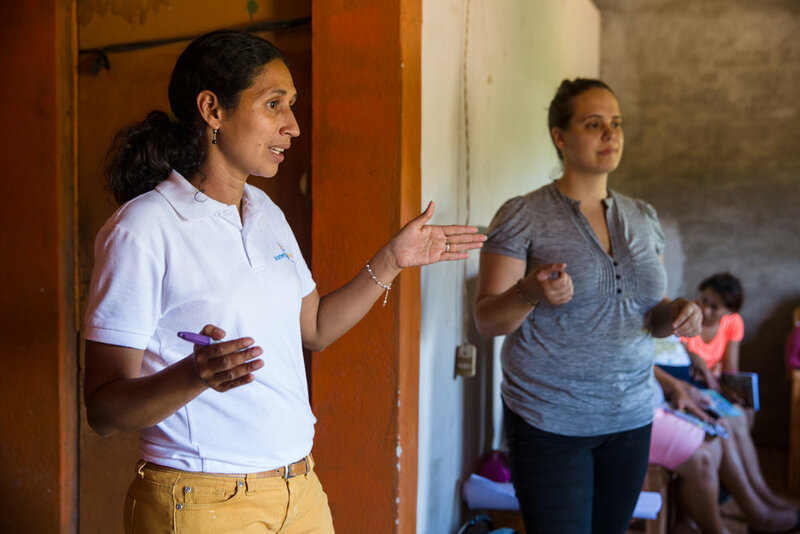 In order to determine the content for these trainings, Women's Worth, Inc. conducted extensive interviews to assess the needs of women in the Matagalpa region of Nicaragua. We then designed a series of five workshops based on those most urgent needs: decision-making, negotiation, and three business-oriented workshops. During our first year of operation, approximately 50 women participated in the workshops from different neighborhoods in the city of Matagalpa, and the rural community of Soledad de la Cruz. The feedback from the women was overwhelmingly positive. In our exit interviews assessment, the women told us they learned a great deal. Almost all have begun saving and two women started new small businesses. The workshops also enabled them to form a network of support for each other and many of the women have returned to participate in further workshops developed to reinforce and build on what they've learned thus far.